The Citroen C5 Aircross, which is the PSA Group's and Citroen’s first product to be manufactured in their recently announced India project by end-2020, has received a strong 4-star crash test rating in the latest round of Euro NCAP safety tests. The results have been announced today. The C5 Aircross is the latest addition to Citroen‘s Aircross family of crossover compact SUVs and replaces the C4 Aircross which stopped production in 2017. 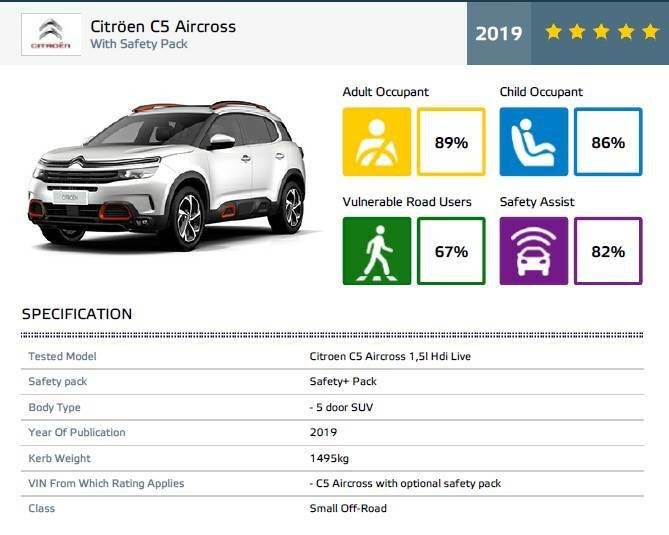 According to the safety watchdog, the C5 Aircross offers most safety equipment as standard, including a forward-looking camera to enable driver assist functions, and has achieved 4 stars in Euro NCAP safety tests. The C5 Aircross was tested as a diesel model, despite the drop in popularity of this engine type in Europe.